Some days it is just too cold outside to go running. For me, there is 1 Saturday a month that I cannot run with the training group, guaranteed, because that is the weekend that Matt has his Army training. GO ARMY WIFE! So I am stuck with running on the treadmill or dreadmill as some call it for my long run that day. YUCK! 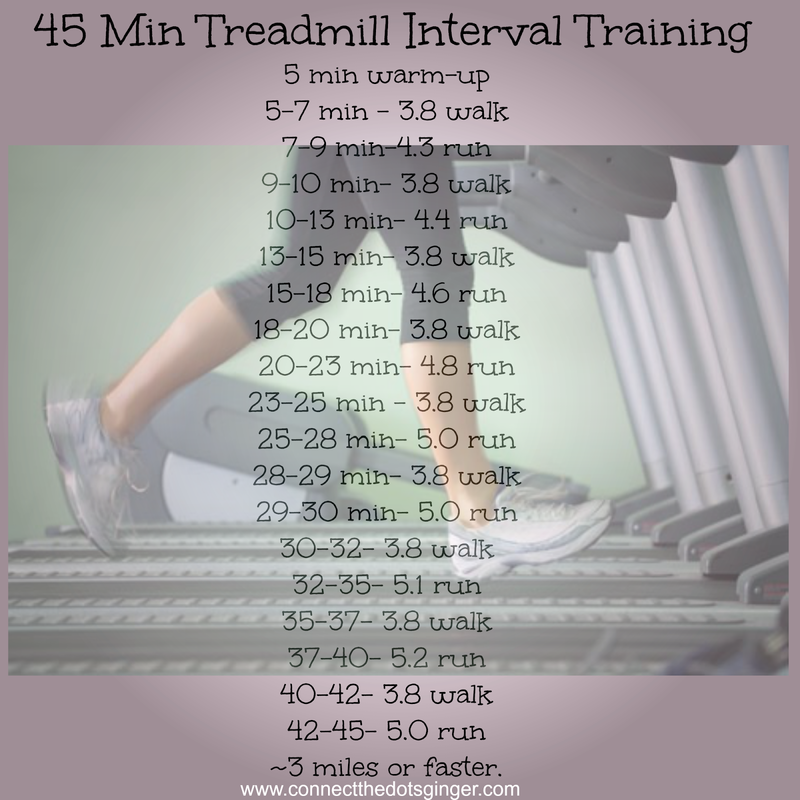 (anything more than 4 miles on the treadmill is HARD! Also during the week though you can find me at the gym on the treadmill and elliptical. Since my gym has 2.5 hours of daycare allowed per day I try to spend a good amount of time there. So what do I do from getting bored on the treadmill. First of all. I use the personal TV that is on the machine. Since I don't have cable TV at home I love to watch the Food Network when I exercise. I also go to the gym around the same time each day so that I catch my fav shows. I love cupcake wars and Pioneer Woman. And if I am there late enough I catch Ina Garten. You can adjust these speeds based on your current running level but the point it is to push yourself and for me 5.0 is pushing it. But because of this I have noticed that my average running speed on the weekends when I am running is around a 12 min mile. YEA! So it is working!